After a one hour flight from Yangon to Heho on the local airline, Yangon Airways (who served food on a one hour flight! ), and then a one hour drive, we arrived to the town of Nyaung Shwe, Myanmar. 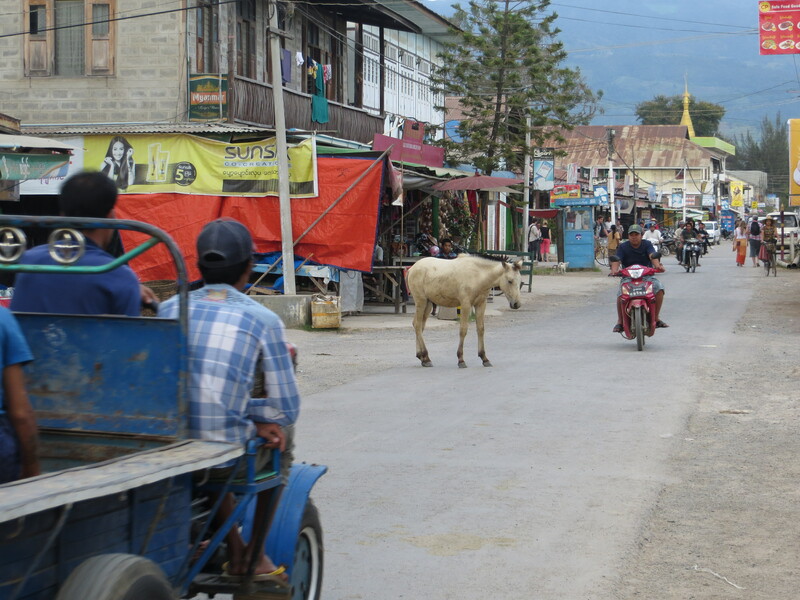 It is a laid back, small town filled with endless motorbikes that locals use as their main form of transportation. 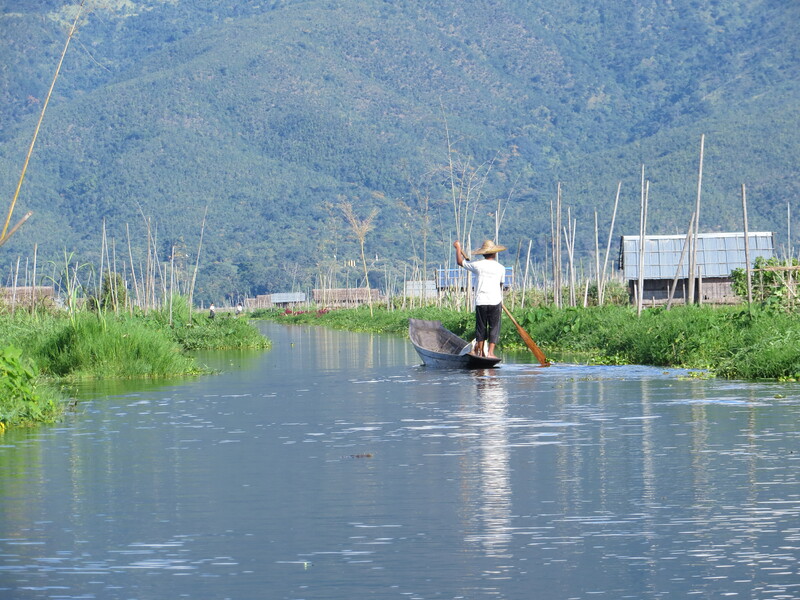 Our 2-night stay there was aimed at experiencing life on Inle lake where locals live, trade and farm right on the water. The town of Nyaung Shwe, Myanmar. Twenty-five dollars got us a private, full-day long-boat tour on the lake. Our “tour guide” was more of a driver due to his very limited English. But what he lacked in words, he made up for in politeness, smiles and a thorough ground-covering of the lake itself. And, he took us to a restaurant that had one of THE BEST fried rice dishes I ever tasted! 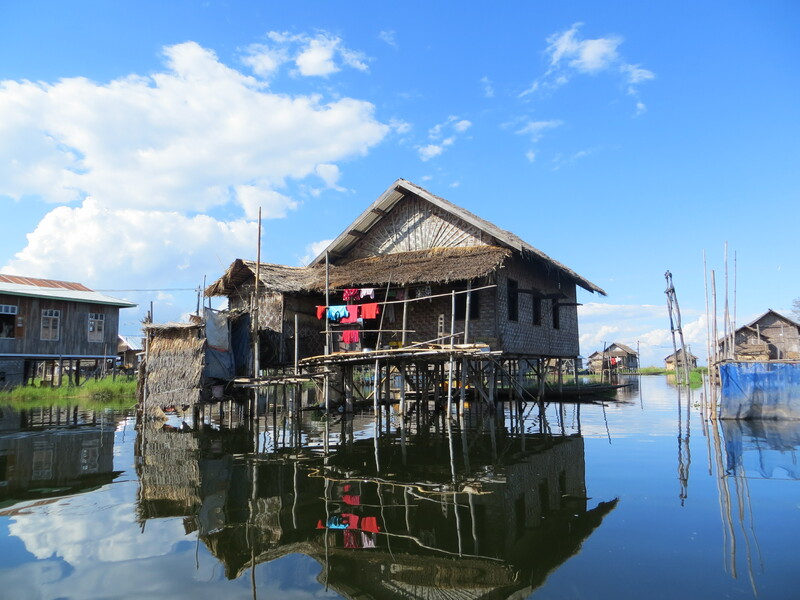 Spending the day on Inle Lake, Myanmar. 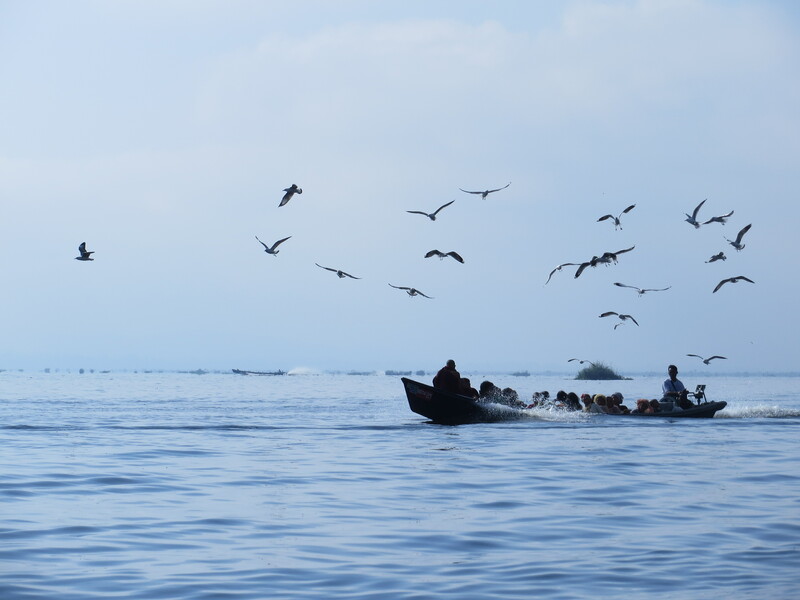 This long-boat filled with locals must have had food they were taking into town to sell (perhaps fish?) because the birds followed the boat like they were attached to it. We visited all the tourist spots such as the long-neck women and the silversmith and blacksmith workshops. There were floating markets and pagodas to visit that helped fill our day. Shopping tip: buy jade in Myanmar because that is where it is mined and you can buy it for a decent price. 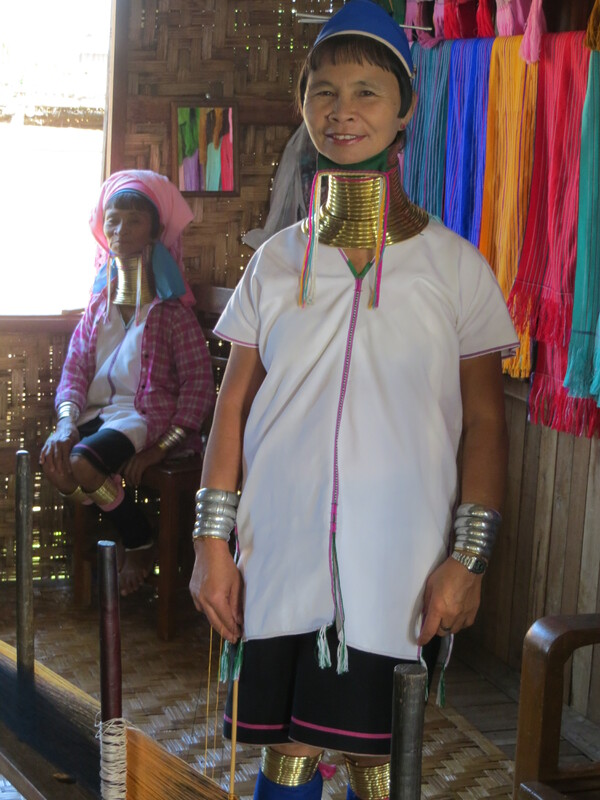 These long neck ladies weaved beautifully bright scarves that they sold in their workshop. 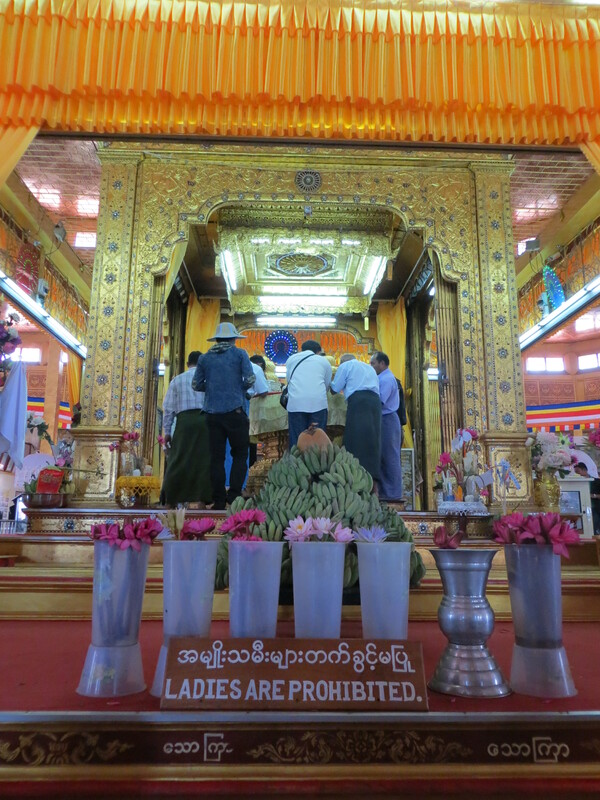 As you can see, I was not allowed into some areas of the Phaung Daw Oo Pagoda (Inle Lake, Myanmar). 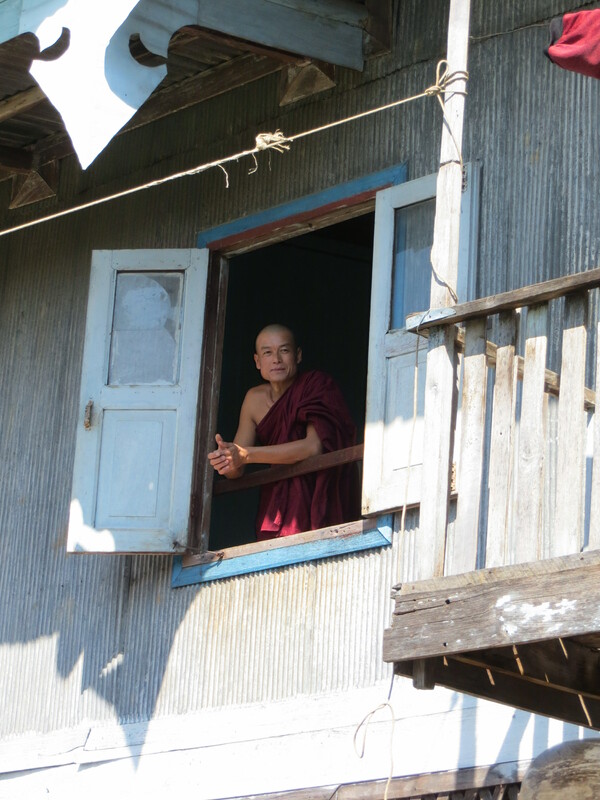 You haven’t experienced Myanmar if you haven’t stepped into a monastery to catch a glimpse of the minimalist lives of monks. Our driver also took us off the tourist trails as we cruised the water streets where locals lived in homes on stilts above the water. 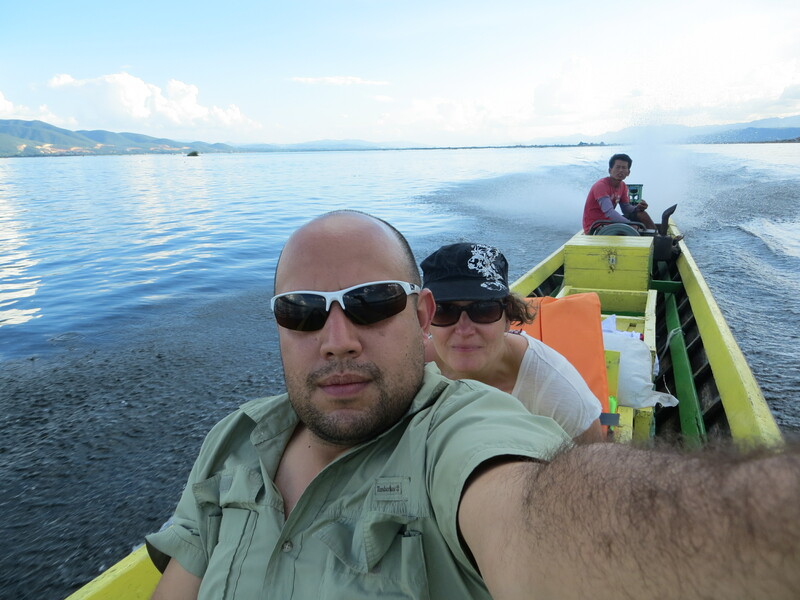 We toured through the floating garden beds that grew above the water, the livelihood of many of the locals. We felt like we were in a National Geographic magazine as we watched the fishermen with their unusual rowing style of wrapping their leg around the oar as they rowed; unique and only found at Inle Lake. 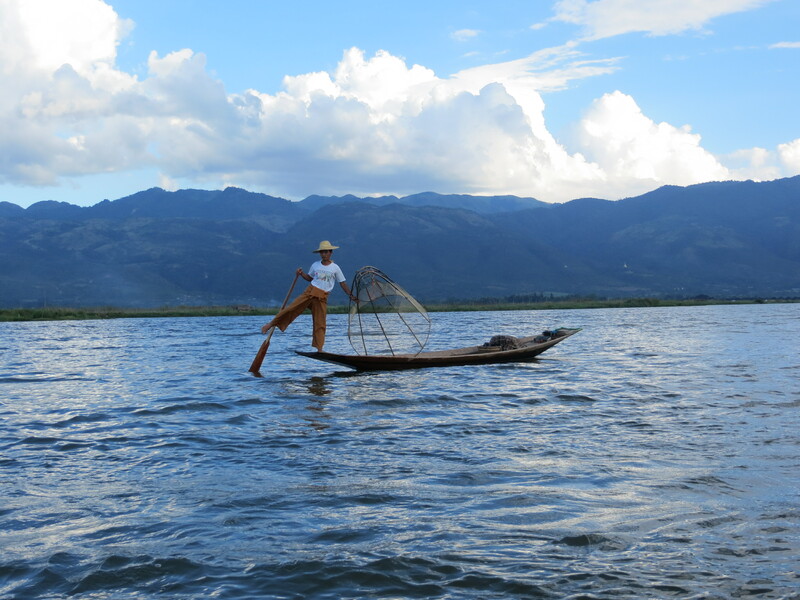 Inle Lake is known for its weaving industry of silk and the rare lotus fabric that is only produced there. We toured a shop where I taped this very cool video of a girl extracting the lotus plant fibres from the stems of the lotus plant that will be weaved into fabric… As in Yangon, Inle Lake is behind the times but as we toured the area we could see hotels being built all around and although still rare, we did see a couple new restaurants in the area. They know the tourists are coming and they are trying to catch up to accommodate. I feel so lucky that I experienced this simple town that is so rich in unique traditions before all that changes. It is the polar opposite of where our travels were going to take us to next…Bangkok, Thailand. 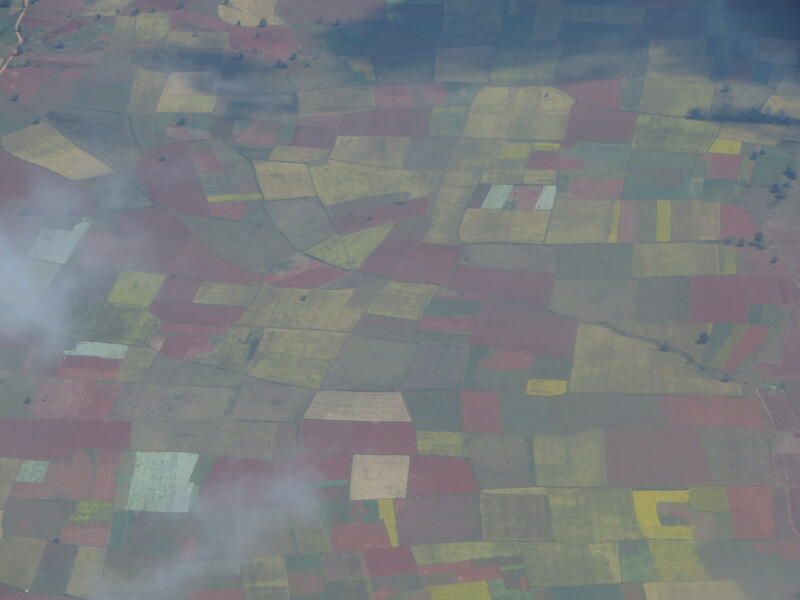 The beautiful patchwork land of Myanmar viewed from the plane.